Bring South Sudanese Culture to Your Living Room! Host an Evening of South Sudanese Culture and Food! Join Rebuild South Sudan in celebrating the vibrant culture of South Sudan by hosting a dinner or speaking event. This event will feature South Sudanese culture, music, and handmade goods, offering a glimpse into the world’s youngest country’s spirit of resilience. Guest speakers will include Juba resident and RSS board member, Michael Mayen, and executive board member, Katie Rivers. Also presented will be further information on how to become involved in supporting education, economics, health, and women in South Sudan. There are many things about South Sudan that rarely make it into the news: food, music, dance, art, wrestling. (Shout out to the New York Times for bringing more South Sudanese culture into the limelight.) Our hope is that by allowing people to witness the beauty of South Sudanese culture, they will join us in supporting this resilient nation. CLICK HERE to sign up to host an event or express interest. You can also email katie@rebuildsouthsudan.org. Michael Mayen was a walking skeleton when he arrived at Kakuma, a Kenyan refugee camp, in the late 80s. He and Michael Kuany, Rebuild South Sudan founder, walked as Lost Boys together from the east bank of the Nile into Ethiopia and finally to Kenya. Together, during their time in the refugee camps, they would lay awake at night dreaming of how they would make a difference in South Sudan one day. Against all odds, Michael gained an education which culminated in a Master’s in Economics and Statistics from Australia’s Macquarie University. His goal was to return home to be a force of good and rebuild sustainable economic infrastructure. Starting in 2013, he worked for five years at the Central Bank in Juba. Now he is a Rebuild South Sudan board member and is head of all operations on the ground in Juba, Bor, and Jalle. 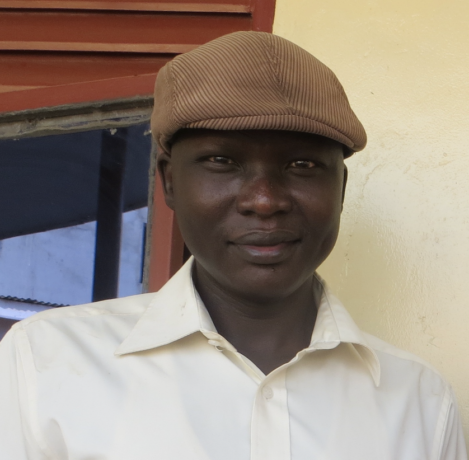 Michael is a leader among the Jalle community living in Juba. He is a devoted husband and a father to three children. His experiences with devastation and poverty as a Lost Boy drive him to build a society that will benefit the most vulnerable people. Michael embodies the resilience, hope, and hard work of the South Sudanese people. What Does is Mean to Host an Evening of South Sudanese Culture? If you sign up to host, you sign up to be a partner with us on the event. We’re responsible for some tasks and you take on some tasks. We’ll talk through the details with each host to ensure that we together we create an event that works for everybody. Below is the starting place, though. When Would I Host an Event? We are scheduling events and dinners between September 15, 2018 and October 20, 2018. Contact us to find a date that works best for you (katie@rebuildsouthsudan.org). 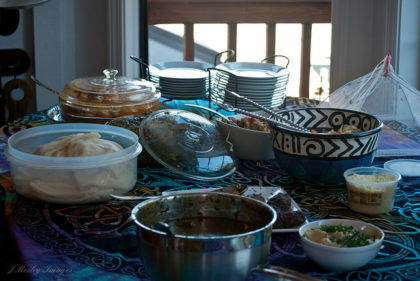 Provide the Food (authentic South Sudanese food that Katie learned to cook in South Sudan last fall). Set up a Table: Handmade South Sudanese wares and art in honor of South Sudan, more information about how to be a part of Rebuild South Sudan. While each event will run a little differently according to our host, here is a rough outline and starting point. Where Does Money Raised Go? Money raised from the event goes directly into our programs, which are community driven initiatives. First and foremost we are serious about finishing the school. Peace and Conflict Transformation: We work with teachers in the area on leadership development and non-violent communications. 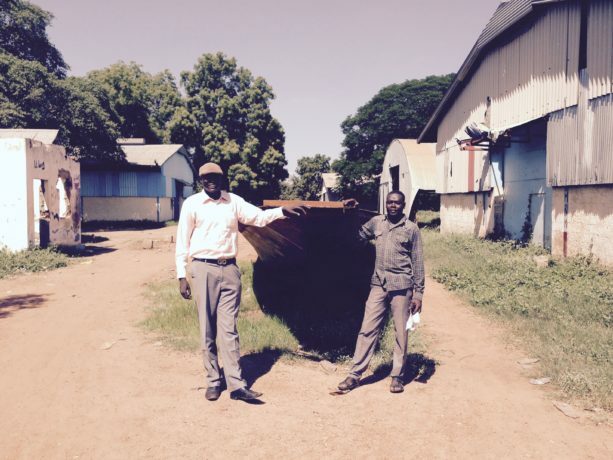 Michael Mayen stands with the boat being built in Juba.